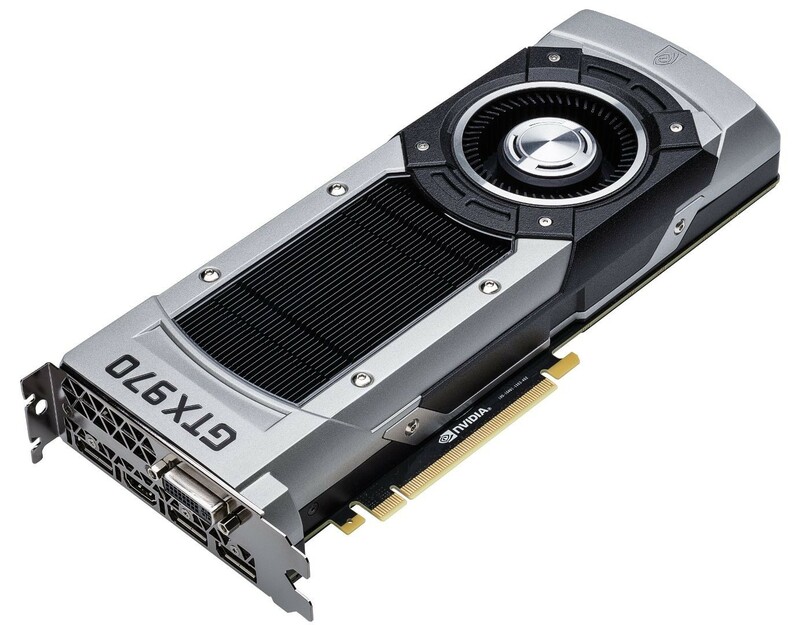 We haven't heard the last of NVIDIA's GeForce GTX 970 memory allocation controversy, not by a long shot. Owners of the card, after having compiled technical information and details over weeks, filed a class-action lawsuit in a US Court (District Court for the Northern District of California). The lawsuit, titled "Andrew Ostrowsky (and others in similar situation) vs. NVIDIA Corporation and GIGABYTE Global Business Corporation," accuses the defendants of unfair, unlawful, and deceptive business practices, in three separate charges, and misleading advertising, demanding for Jury Trial. The lawsuit goes on to read that the amount in controversy exceeds US $5 million, and encompasses over 100 Class members, meeting the minimal diversity clause, with the plantiff and numerous Class members being citizens of different states than the defendants. The lawsuit accuses the defendants of misleading buyers of the GeForce GTX 970 graphics cards with memory amount (being 3.5 GB with a 0.5 GB "spillover," and not the advertised 4 GB), ROP count being 56 and not 64 (as communicated to the media at launch, and to buyers through them); and L2 cache amount being 1.75 MB and not 2 MB. If you are eligible to be a Class member, find details of the law firms involved in the lawsuit document. Sadly $5m is nothing to nvidia. It meets a clause of controversy amount being >$5m, the actual controversy amount is not $5m. It will be a lot more. Called it! It will be interesting to see if it exceeds the $18 million settlement NVIDIA paid out for mobile chips. I suspect not because this issue was discovered quickly and discreet cards have much lower sales numbers than integrated chips. I wonder what OEMs are doing because they've been bearing the brunt of NVIDIA's screw up. They should be getting a much larger settlement than this class action. Most assuredly, even factoring those people able to return their cards under store policy. Not lately, and the company has a relatively clear playing field for this quarter as well. $5m is not a big number for nv, but the public praise will decrease hardly. That is the point. This whole issue has been blown out of proportions. By the same logic Intel should also be sued for not telling its customers of X99 platform about not all the 10 sata ports can be used in raid. AMD is also being sued for lying about Llano platform. You just made some ambulance chasers very happy. I guess the starting point will be reimbursement of hardware cost + pain and suffering settlement + lawyers fees.....call it an even $10million per claimant. And just to show how speedy the justice system is, twelve months on and they're still at the arguing over fine print stage. There was actually a second suit filed (Santiago v. Nvidia and Asus) at the same court. I want to see nVidia fry. We all saw this coming, heard about it a little while ago and now we just have to wait a good long while to happen. I am with the others as the oems are the ones facing the brunt currently on this more than anything so they need to benefit from this if any significant amount of money is to be had. The rest of the people just need to return the card if they are not happy. I still think its ridiculous, that video card has 4gigs of RAM. GPU even can address the entire memory, its just some architectural design choices which limit the addressing to last small section to a slower speed. After going through all the press release I don't think nvidia lied about anything apart from not being clear about design choices. Although thanks to this whole fiasco I have been able to get a 970 at insanely cheap price. In India Msi GTX 970 retails for INR35000(~US$520) and I got the same barely used from US for half the price. I still think its ridiculous, that video card has 4gigs of RAM. GPU even can address the entire memory, its just some architectural design choices which limit the addressing to last small section to a slower speed. This is a tech forum, so whatever the story certain vendors names get the full total war treatment. If you compare this story to any other similar issue, the name Nvidia will have it beat hands down as a hot topic. Quick comparison: Over 500 posts over three GTX 970 threads here, and 20 posts on the Samsung 840/840 EVO issue (which has been a saga as long as the GTX 970 has been available for sale, and still front page news at virtually every other tech site) One piece of hardware doesn't deliver on the promise for a small minority of users, the other piece of hardware gives you less performance every time you use it (and Samsung haven't even acknowledged the issue with non-EVO parts AFAIK) for what is likely an equal or larger number of users. After going through all the press release I don't think nvidia lied about anything apart from not being clear about design choices. Well, set your alarm clock for next year, and we'll see if a District Court agrees with you....then of course the lawyers will want another bite of the cherry and appeal to the Supreme Court regardless of who wins. Although thanks to this whole fiasco I have been able to get a 970 at insanely cheap price. In India Msi GTX 970 retails for INR35000(~US$520) and I got the same barely used from US for half the price. The pentium 4 lawsuit took over a decade, and random people who applied got $15 back at the end of last year. I'm sure they felt liberated. I don't think anything interesting is going to happen for some time. Nvidia have already said people can return 970's for refund. No need to wait for years to see some action. People are returning them already, and they're being resold already for half price. Bad business decision to pull this stunt. Its not just the 840(non-evo) but also their OEM 840 drives who haven't received any kind of updates. Unusually I own X99 based PC, couple of 840 EVO ssds and GTX 970 and I still don't have any problems with the issues blown out of proportions on forums. Except for GTX 970, I have a workstation in my office running on X99 and each of the PCs have Samsung 840 EVO (with older firmware and no update installed yet) ssds and so far the performance of these have been satisfactory. I'm not going to be playing at 4k, nor do I feel the need to max every single game that has SSAO or whatever else. I can still get two, run at triple 1080p surround and be fine. Ah, the great America, where people sue anyone and everyone for anything. Must be integral part of living there. That would indeed be the impression the world gets, unfortunately. You'll be happy to know that REALITY IS DIFFERENT from the headline grabbing news stories. People going to work, going home, raising kids...it's much like anywhere. In fact, I don't think I know one single person ever in my life that sued someone. The 100 in that lawsuit is nothing. There are over 9,000 signers of the petition to get a refund from Nvidia and that's probably not all that will jump in on a class action suit if they think they can get a few $$$ out of it. After the legal fees in courts all over the USA and whatever else Nvidia has to pay to all of those claimants, I can't believe it wouldn't be less expensive for them to just make a quick settlement and send the lawyers home. +1, You beat me to it. I was about to say the same thing. Yea, though it is funny how the news here constantly blows the lawsuits out of proportion. Though to be fair there are a few areas of it that get abused consistently. Not the point dude, it has 4gb on the card but that last 512mb is significantly slower which causes a performance reduction when accessed. The card also holds off accessing that last bit unless absolutely necessary which means most of the time your card is a 3.5gb card. That's not what was advertised, I doubt people care about the other parts much but that area is the problem with many people opting for two or more GTX 970's over some GTX 980's. They can get refunds so that is solving their problem, however people were mislead. Whether or not the difference will effect everyone does not change the fact people were mislead into what they were buying and that is not right. Yep, were all going to be on the R9 990X or GTX 1680's by the time anything is really heard about this most likely. I have a feeling when its finally settled most of us will have forgotten what they are talking about lol.